Vivocha is a fully integrated platform for managing online interaction channels on your web site, mobile app, and messaging channels. Increased conversion rates and higher average transaction value will boost your online sales. Reduce interaction time and redundant calls by supplying contextual information to the contact center agent. 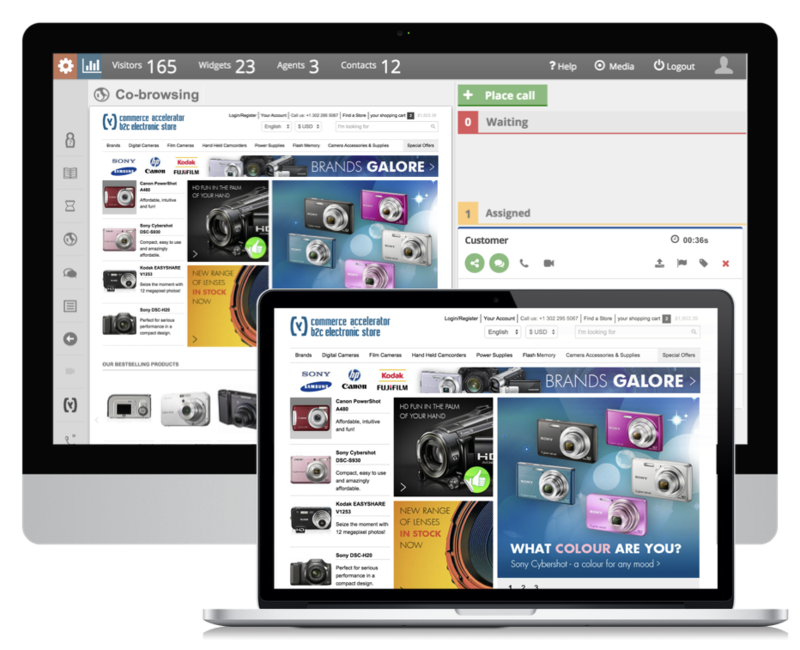 say that real-time assistance is one of the most important features a website can offer. of buying experiences are based on how customers feel they are being treated. of online shoppers would like to make contact with a real person before making a purchase. 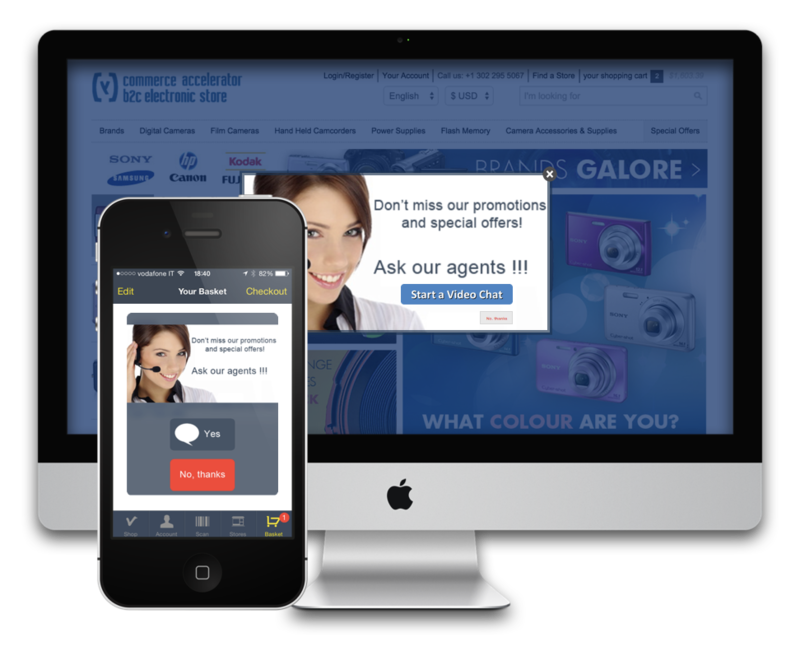 Vivocha is a cloud-based service, tailored to businesses aiming to engage with visitors on their online sites. By using the most effective communication channels, we engage the right agent with the right visitor, at the right time. Businesses are able to seamlessly communicate with their online guests directly on their website, using any combination of video, voice, chat, and collaboration tools such as assisted browsing and form and document sharing. Live chat is preferred by customers when comparing different offers or services in real time. Allows customers to directly connect with an agent to solve their problems or share sensitive information. Maximize support efficiency with screen sharing, page pushing, and other advanced tools. Provide human interaction, create new up-sell and cross-sell opportunities, and boosts agent productivity. Engage with visitors on complex requests with the touch of a button, without having to wait on hold. 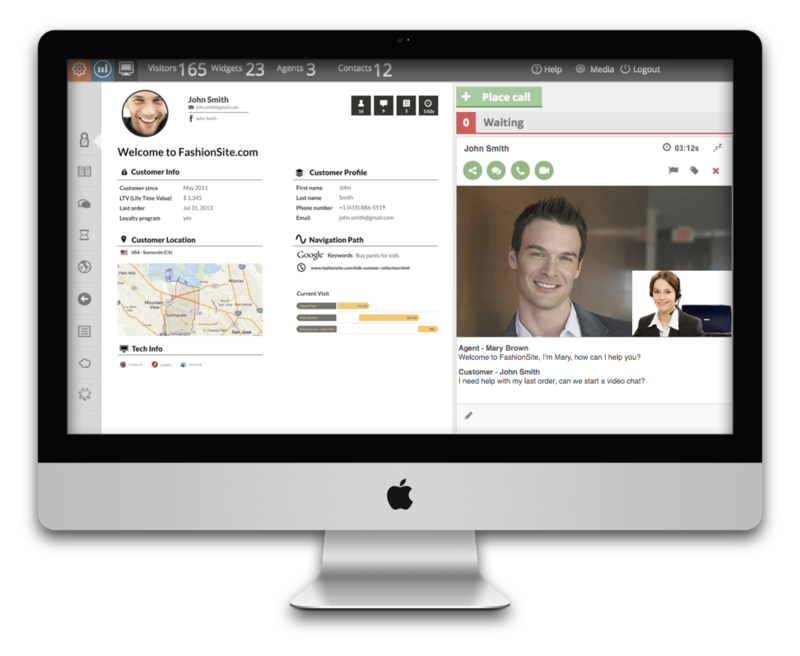 Foster loyalty and increase revenues by creating a personal and unique relationship with your online guests via face-to-face conversation. Engage and provide support via HD Video Chat, Co-browsing, and Screen Sharing. Live on your website or mobile app in 5 minutes, or less! People are becoming increasingly more mobile. 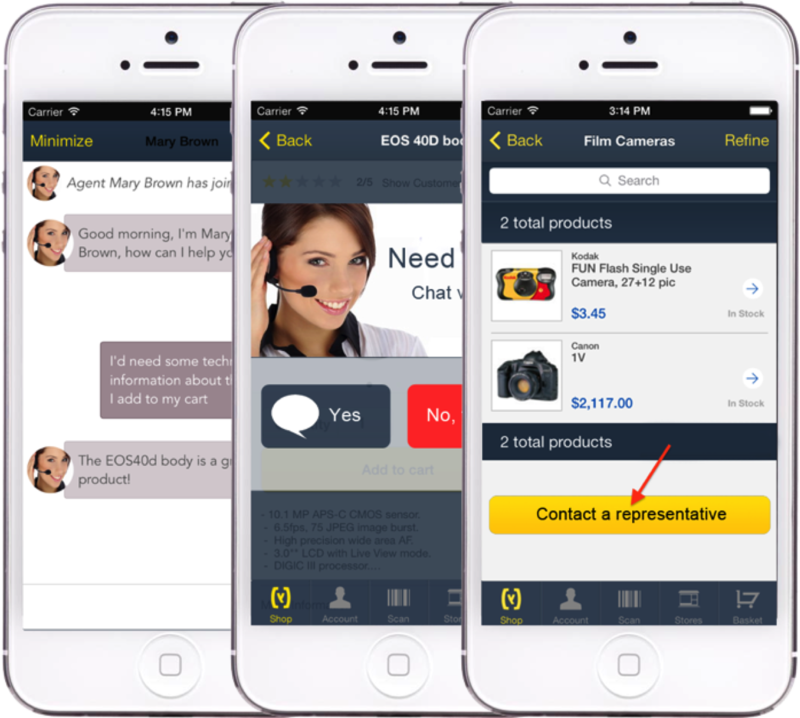 Engage your mobile guests and provide support at their convenience. Support within a mobile app prevents those in need of assistance from abandoning their visit on any device. Know in real time the navigation path of each visitor, the page they are currently viewing, and where they asked for help. Combining real-time dialogue with page pushing, content sharing, and form sharing are operations that enable the most productive management of customer requests and increase the likelihood that the question will be resolved in the first contact. Offer support to Customers at the Right Time on the Right Channel. Decide when and who to engage based on wide variety of rules: where is your visitor coming from? What did he search on Google? Was it a click on an advertising banner or a retargeting campaign? How often has she visited a certain product page? Within the Campaign Builder you are provided with a series of features to design a new Campaign by defining the desired strategies and setting up rules and behaviours to establish the way it works and how you want to provide online support to an audience of users that can be customers, prospects or simply the visitors of the official website, the company Facebook page, or the official mobile application. 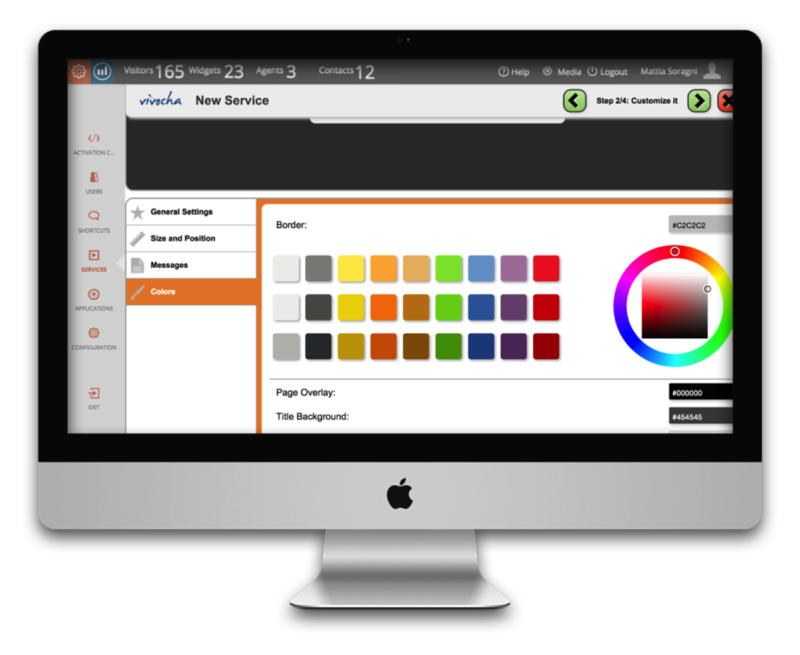 Vivocha’s integrations with other applications allow agents to work on a single platform, providing a better interaction experience due to reduced average response time and faster task completion. 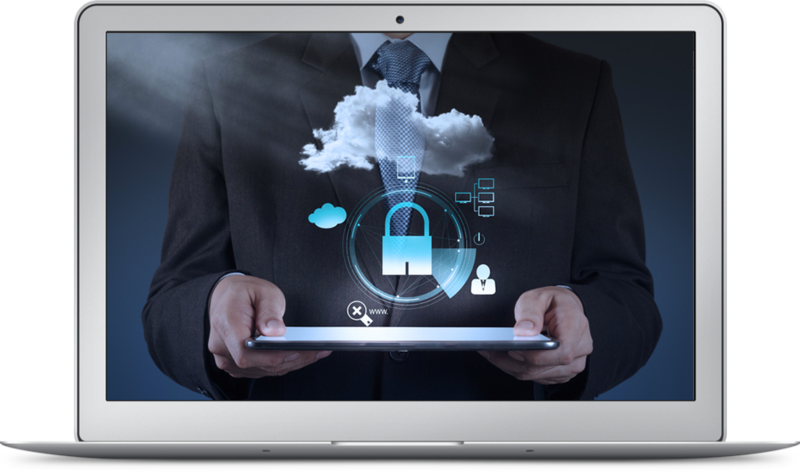 Vivocha is a secure cloud application. This is a bold statement that nevertheless embodies one of the core principles of our platform: we take data security and integrity very seriously. Vivocha is an online engagement service where conversations between our users and their contacts flow through our systems. We provide a rich set of API that can be used to create rich applications that store or analyze the messages exchanged between the parties. 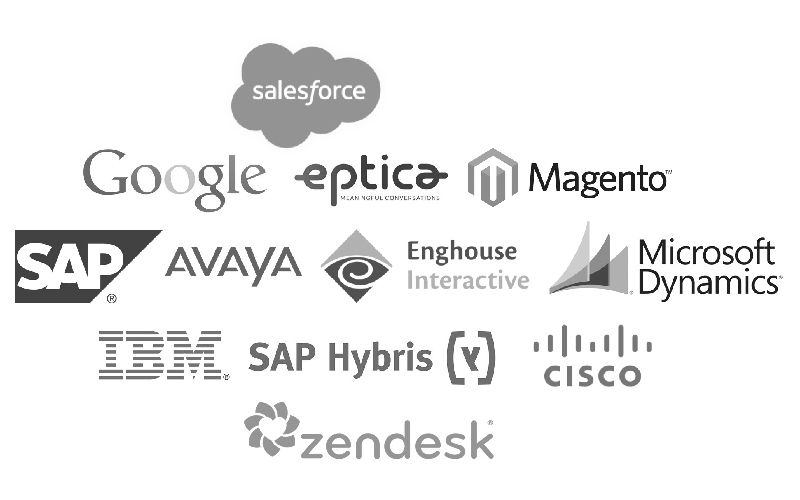 We ensure that all of our users’ data is safe at every endpoint on our platform. Vivocha - a startup with offices in Milan, Cagliari and London - provides an online customer interaction platform that enables businesses to seamlessly communicate with prospects and customers directly on the website, using any combination of VoIP, video, chat, callbacks and collaboration tools like assisted browsing and form and document sharing.